Bio: Rose Mary has over 30 years of experience in the education profession. Before coming to Highlander in 2002, she worked at a range of public and independent schools both as a teacher and an administrator. She began her teaching in North Carolina at a school for students with multiple handicaps and continued using her special education degree at St. Andrew’s School in Barrington, RI, where she was a resource teacher and the Special Education Director. Rose Mary also worked at Barrington High School as a resource teacher before returning to St. Andrew’s as the academic director. 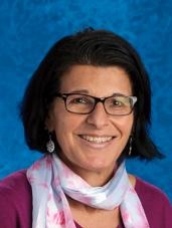 She started at Highlander teaching grades 7 and 8 before moving into the Principal and Special Education Director position in 2004 and finally the Head of School in 2007. Originally from Riverside, RI, she has her undergraduate and graduate degrees from Rhode Island College. Her educational philosophy is clearly visible in the school’s mission, vision and values. Equity and access for all students regardless of race or socioeconomic status. All students deserve high quality educational opportunities in a safe nurturing environment where educating the whole child is key. Bio: Jane has been working at Highlander Charter School since the year 2000, its first year in operation. She started as a kindergarten and first grade teacher. In the year, 2004, she moved to the administrative team. While she misses the classroom, she loves working within the greater school community and the opportunity to work every child and family. Jane attended University of Rhode Island and received her Bachelors in Early Childhood Education in 2000. In 2009, she received a M.Ed in Special Education from Lesley University. Jane’s goal is to provide a safe and stimulating environment to provide students with the skills they need to become productive global citizens. 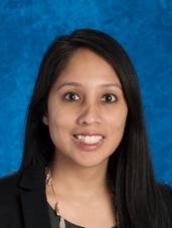 Bio: Jessica has been working with students and their families as an educator at Highlander Charter School since 2004. Before becoming Assistant Head of School in 2015, she taught 4th grade and 5th grade at the Lower School. Her work was guided by the belief that her role was to provide students with the nurturing and guidance they need to become independent learners and critical thinkers. As an administrator, she believes in empowering staff and students as learners to meet the mission, vision, and values of Highlander. Originally from Hartford, CT, Jessica moved to Rhode Island in 1999 to attend Brown University where she earned her Bachelor of Arts degree in Education, her Bachelor of Arts degree in Psychology, and her Masters of Arts degree in Teaching. In 2017, she received her Doctorate in Educational Leadership at Johnson and Wales University. Bio: Mike has been working as an educator for the last 20 years. Before coming to Highlander in 2008, Mike spent 10 years teaching in the Chicago and Lincolnwood Illinois public school systems. While in Chicago, Mike completed his Bachelor of Arts degree in early childhood education at North Park University and then went on to earn his Masters degree in Educational Leadership from National Louis University. For the last 10 years at Highlander Mike has served students and families as a second grade teacher, kindergarten teacher, and varsity basketball coach. Mike believes that his role as an administrator will allow him the opportunity to empower teachers to make the best possible difference for every student everyday. He is looking forward to using his strong interpersonal skills to build a team of parents, students, teachers, and community members that work hand in hand in providing access an exemplary educational experience that will prepare our students to be successful lifelong learners.